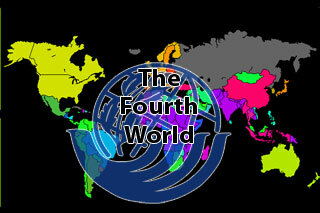 The Fourth World is referred to as the coming One World Government where there are no more First, Second and Third World governments, it will be a return to a society much like Caesars or Babylon or the Third Reich. The UNCED Earth summit will link environment with industry and they will be the masters of who gets what and when. We hear a recording from the 4th world Wilderness Congress where Maurice strong introduces Baron Edmund de Rothschild as the positive synthesis between the Environment Conservation on one hand (Thesis) and Economic Development on the other (Antithesis). George W. Hunt talks about the elite World Bank called Banque Credit Agricole that will collapse all other banks into it as a Global World Bank that owns over 1/3 of the Earths Wilderness and as the foremost International banking whistle-blower George W. Hunt identifies the very names, programs, banks and organizations that have been hard at work to destroy the global economy in favor of a one world banking system that plans to lord over every aspect of our society. 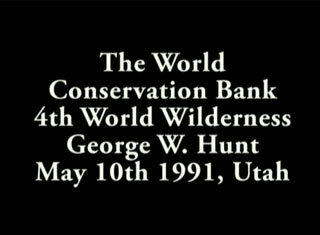 In this early recording, George Hunt Speaks in Utah – May 10th, 1991 on The 4th World Wilderness Congress that occurred in 1987. 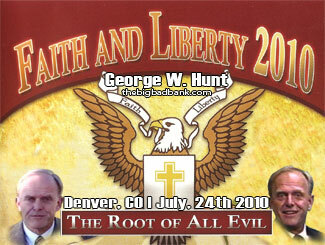 George and Marie Cavanaugh support George Hunt’s opinions and research by inviting him to speak in Utah at this event.